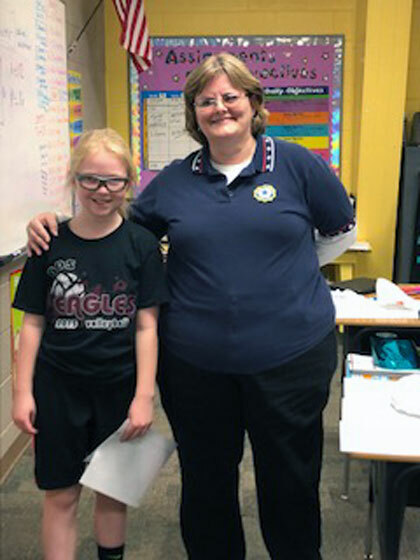 In an effort to encourage America’s schools to continue promoting patriotism and democracy among future generations, the American Legion Auxiliary annually sponsors an Americanism essay contest for students in grades 3-12. All 10 of Mrs. Dickson’s fourth grade class members worked on the project, handing in remarkably thoughtful essays encompassing this theme. While the effort to choose a winner was extremely difficult, a committee from Shickley’s Auxiliary Unit No. 164 eventually chose to honor two essays. Brady Noel, son of Reg and Monica Noel, took home the top prize. Olivia Schlegel, daughter of Scott and Sherri Schlegel, won the second place award. Brady’s essay has been forwarded on to compete in the State Americanism essay contest. 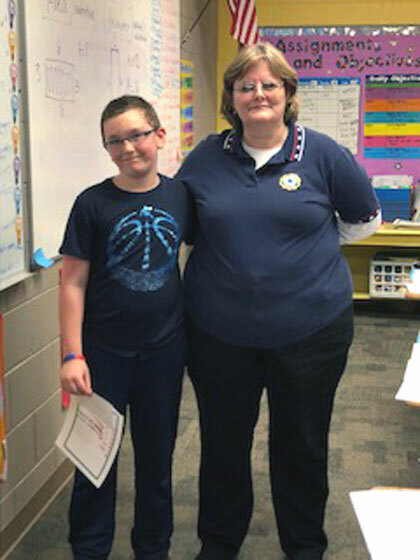 Congratulations to the winners and to Mrs. Dickson and all the fourth grade students for demonstrating how well they understand the importance of preserving America’s freedoms and liberties.